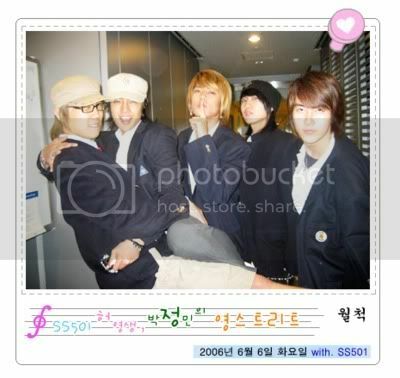 I find their antics in Youngstreet funny and dorky....is it a chance to unwind ? 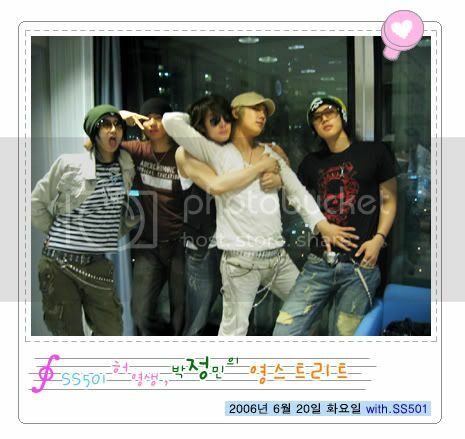 They can't be that dorky on stage, so Youngstreet is a good place to have some fun...between DJ- ing duties of course ^^. Besides that they get to meet many interesting people in their field....musta learned a lot from others' experiences, ne ? Horse on top of gorilla ? 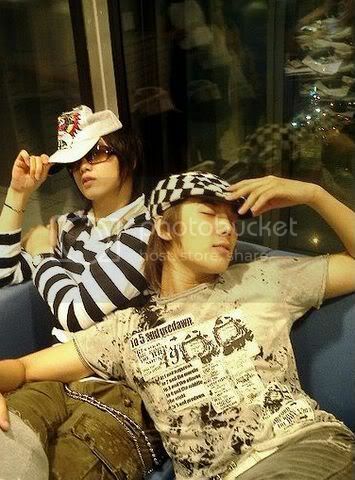 Minnie about to throw himself at leader hahaha..
...waitaminit...it tat Heechul or Mal ?? 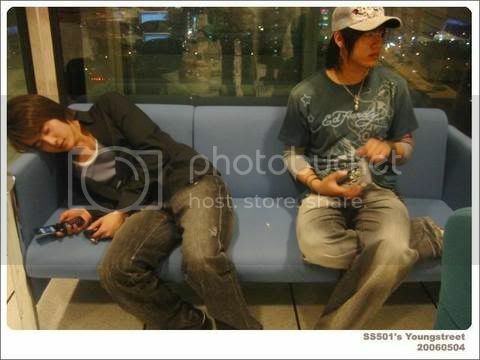 Baby fell asleep while talking on the cellphone ? Photo Credits : As labeled, korea-fans.com, photo4asian.com. 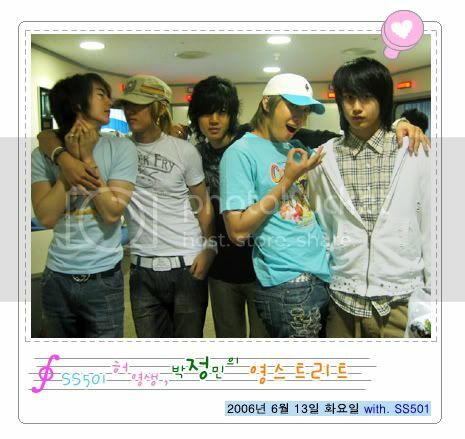 During the week, I've watched two SS501 members featured in kimchi fan club, tvn program aired in v channel. I hope to see more of KHJ ... Oh..he's getting at me more and more....breaking down is so coooolll! 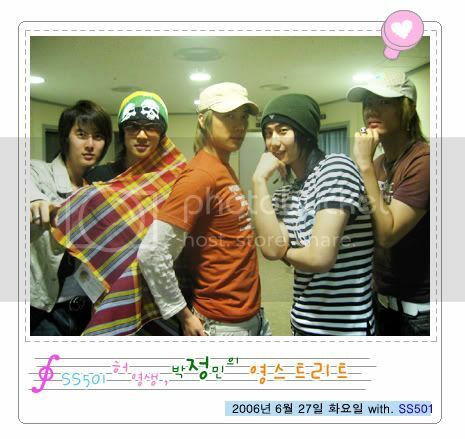 Wow, ur more updated on SS501 than me ! 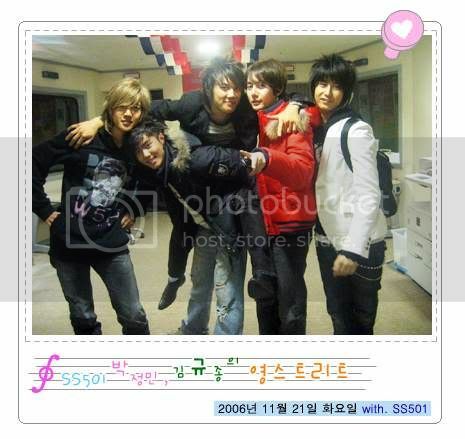 I'm glad all members of SS501 are doing OK.
'course I love Break Down....it's Debaek !! Also love "Please" and "Kiss-Kiss". Me always love leader's performances....everything.. Thanks for the comment, cu later!